From all reports the Omegas, 3 & 6 are pretty darn important to our health. 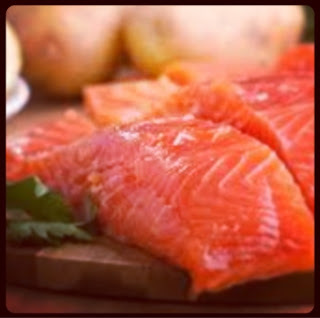 These guys are essential fatty acids which means the body can't make them - they need to come from our diet. But there is a big problem. Our diets are handing us Omega 6 in abundance: seeds, nuts, vegetable oils and a range of pre-packaged foods using refined vegetable oils. On the other hand many of us are not consuming enough Omega 3's. Because Omega 6 functions increase inflammation in the body and Omega 3's job is to decrease it the two need to work together to ensure adequate but not extreme levels. But our diet is failing us and inflammation is escalating. It has been suggested by experts and a range of studies that there is a link between this imbalance and cardivascular auto-immune diseases. Recently the researchers from Harvard School of Public Health and the University of Washington found that older adults could decrease their overall moraltiy risk by up to 27% by upping the levels of Omega 3 in their diet. Upping your dose of Omega 3 has also been attributed to helping weight loss efforts. This stuff sounds like the shizz diz. So how do we get more of the 3 and less of the 6? Fishy supplements like Krill oil will sort you out with your daily dosage of Omega 3 but it is important to understand what is passing through your lips too. If you have a bit of a squizz at the list below it isn't hard to see why you might have an imbalance. If you are regularly snacking on stuff from the baked good section of the supermarket or rolling up to drive-thrus you might have an even bigger problem. I was suprised to find tuna didn't have as much of the 3's as I thought and have now switched to Mackeral. If you suffer from inflammation based diseases or you are on the weight-loss bandwagon have a think about the balance in your body!